Growth form: Annual herb. Flowering. Apr. Status: Native. Local. Also recorded: Bahrain, E Saudi Arabia, UAE. 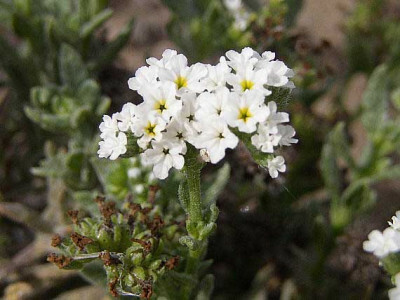 Habitat & distribution: Occasional on gravelly or sandy areas. Prevously recorded for N Qatar, but also found in the south. Uses: Medicinal uses are similar to those recorded for H. bacciferum.